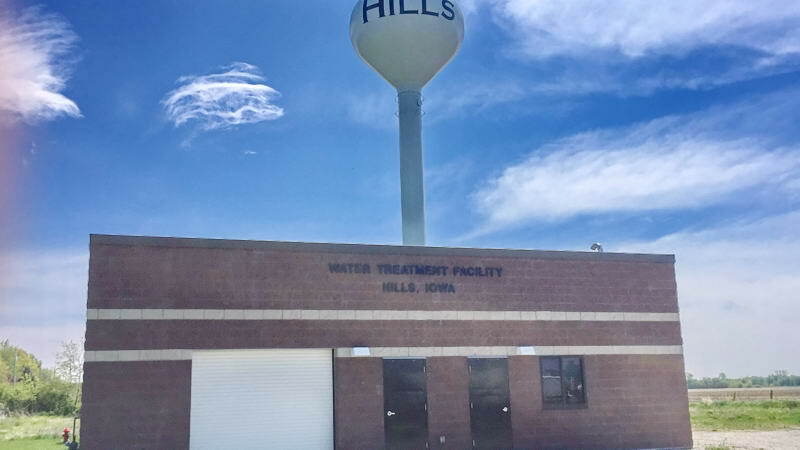 In April of 2014, Dave Schmitt Construction was awarded the Hills Municipal Water System Phase One Project for the amount of $4,352,237. 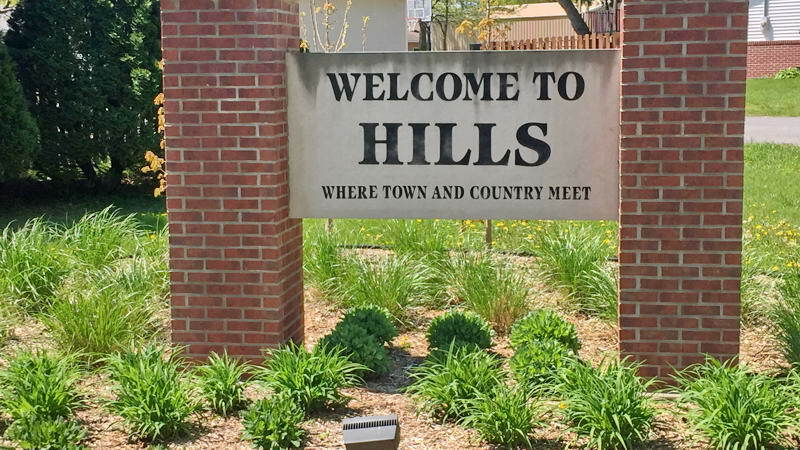 The scope of the project is to install a complete turn-key system to the residents of Hills, Iowa. They currently do not have a public water system as every single resident and business gets water from their own private wells. 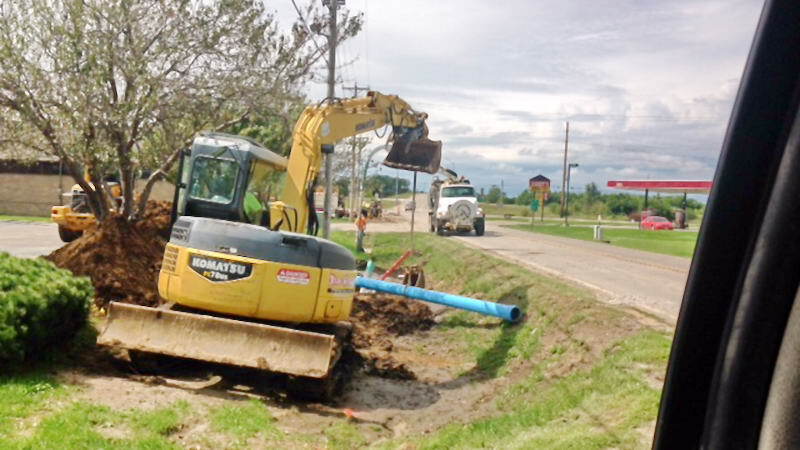 From the start of the project in July 2014, through a late fall completion of 2015, Dave Schmitt Construction will install: 18,000 L.F. of 6” water main, 9,100 L.F. of 8” water main, and 2,500 L.F. of 4” water main. There will also be 266 water services that will have to be hooked up to the mains as well as 70 gate valves and 60 fire hydrants. 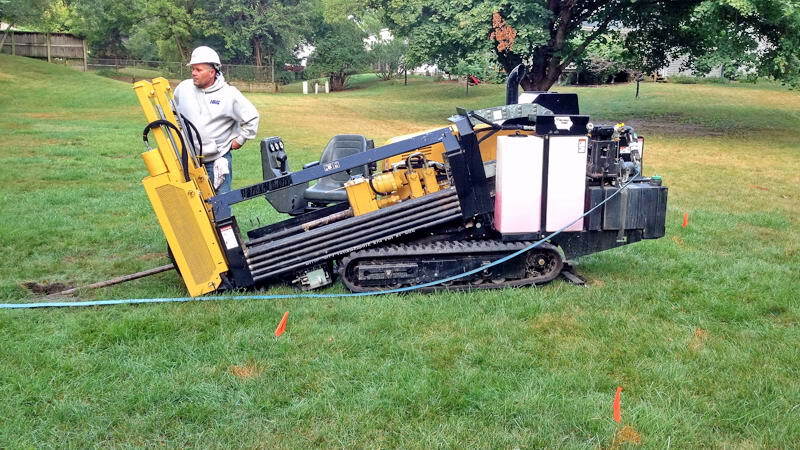 Along with the water distribution system there will be a 210 L.F. 30” and 110” 18” jack and bore under CRANDIC railroad tracks and 10,000 square yards of PCC/ACC/Sealcoat removal and replacement. Dave Schmitt will sub out the new water treatment plant to Woodruff Construction, electrical work to Nuemiller Electric and the individual water service work inside the properties to Ackerman Plumbing. There will be a new water tower constructed as well but this will be under another contractor’s scope of work with the City.